Bathroom storage doesn't have to be as dull as it sounds. Here are some trendy, cool and innovative bathroom storage ideas for keeping bathroom essentials safe and out of sight. Posted By Alan, 18th Jan 2018. 5 Minute Read. We’ve come up with not 1, not 2, but 11 bathroom storage ideas; from clever to quirky and stylish to practical to help you keep your bathroom clean, tidy and most importantly beautiful! Toothpaste, deodorant, cotton buds, you name it and it’s probably found its home somewhere on your basin, the side of the bath or even on the bathroom floor. It may not necessarily be you who is leaving these products there, but whoever it is, is making the place look untidy. If it’s just plain laziness then whip whoever needs it into shape, and quickly, but if it’s due to a lack of bathroom storage then we have the perfect ideas for you. 1. Off the wall... or on it - it's your call! One of the key decisions you’ll have to make when it comes to selecting your storage solutions is whether to go wall hung or freestanding. To be honest, this will normally be decided based on your personal tastes and preferences as both options will look stunning and offer a good level of practicality, allowing you to banish any unsightly clutter from view. Something to keep in mind here though, is that wall hung bathroom cabinets are good for small settings as they don’t take up any floor space, which makes them ideal for cloakrooms and en-suites! View all our bathroom furniture here for more ideas. Bathroom storage doesn’t have to be a one trick pony. 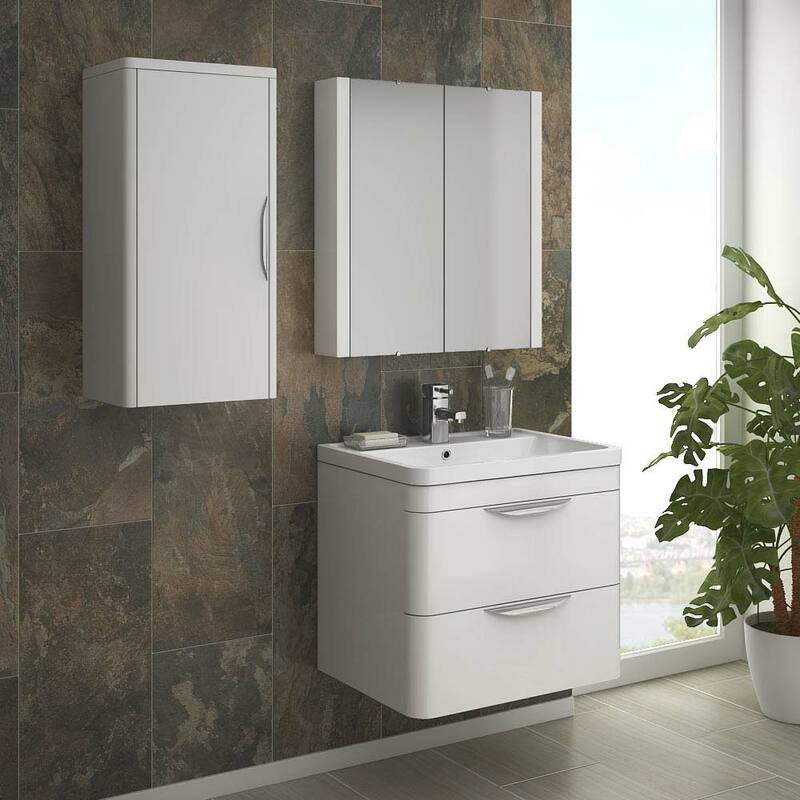 Keeping your bathroom organised and clutter free is certainly one benefit of having additional storage in the room, but a great idea that is often overlooked when considering a safe place to stash your essentials is that there is a wide range of combination vanity and toilet units. These combination vanity units allow you to store away your bits and bobs neatly whilst creating a designer look within your bathroom. 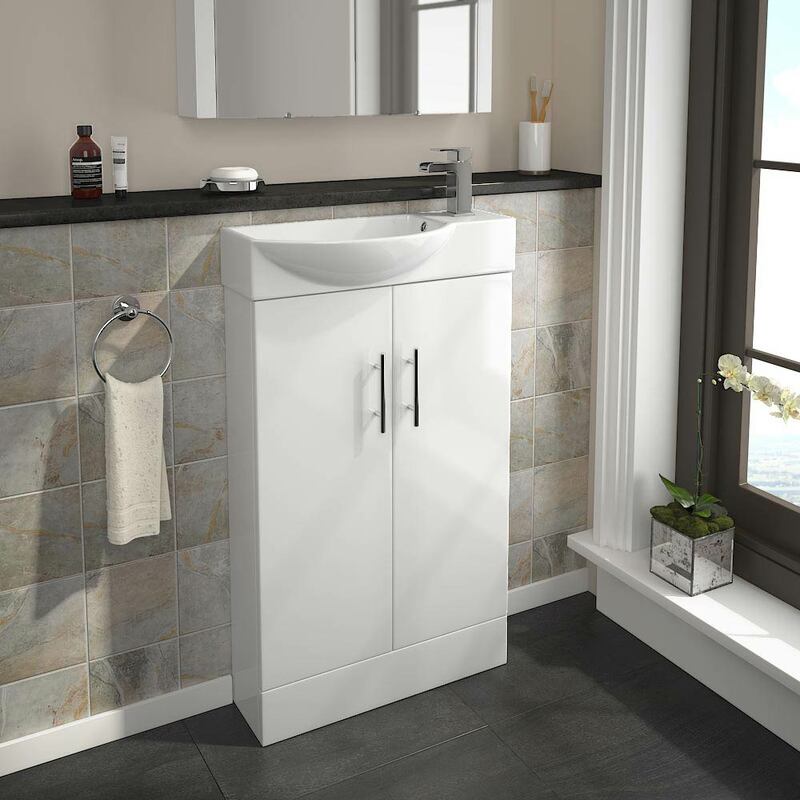 The Valencia Bathroom Combination Unit with Basin & Round Toilet creates a stunning designer look! Browse all of our vanity units for more inspiration. As you’re probably aware, upcycling has become one of the hottest buzzwords when it comes to all things interior design related. There’s good reason for it too, as some of the creations people have showcased on the ever-influential Pinterest range from the brilliant to the bordering on genius! One of our favourite ideas is the current trend for using wooden ladders as a decorative way to present your towels. 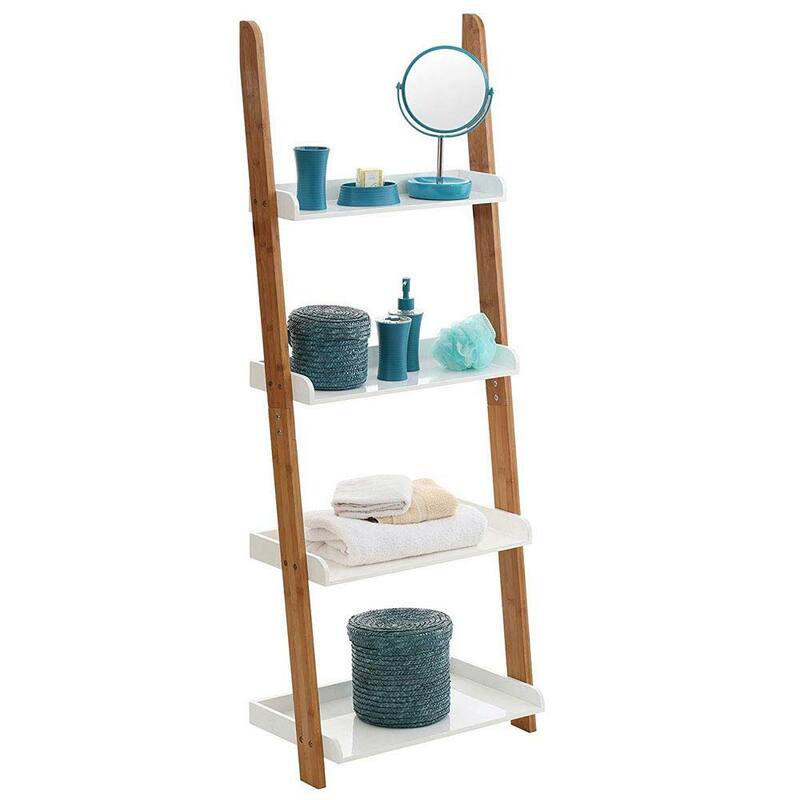 Wooden step ladders are also being used to display toiletries too, as they can cleverly be used as removable shelving due to being easy to reposition around the room. Achieving a charming repurposed look is all about getting a bit creative. For example, painting your old furniture and then sanding around the edges and crevices will leave a distressed effect, which is great for adding character to your bathroom. Alternatively, if you don’t fancy getting a bit messy then there are various products available that’ll give you a slightly more rustic look without any alterations, such as cabinets with shutter style doors, which do have a rather pleasant appearance to them it must be said. With a little imagination, upcycling can be used to turn your bathroom into something truly special. 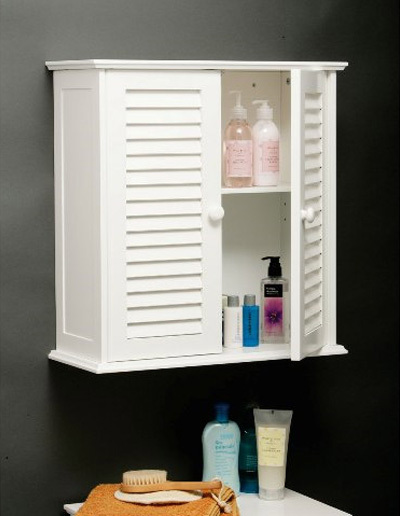 The White Wood Double Shutter Door Bathroom Wall Cabinet is a simple way of adding an upcycled look to your bathroom! Take a look at our Pinterest page for loads of bathroom ideas and inspiration. There are many innovative products out there which allow you to keep bathroom essentials safely and neatly stored away. One great example is laundry baskets which double up as bathroom seating. Looking for smart bathroom storage ideas and love music? You’ll love the sound of this. There are bathroom cabinets which can actually play your favourite songs. Through the power of Bluetooth technology you can play music from your phone through the storage cabinet whilst going about your daily morning or evening routine. The Roper Rhodes Compose Bluetooth Illuminated Mirror Cabinet is a clever way of keeping essentials safe and sound! 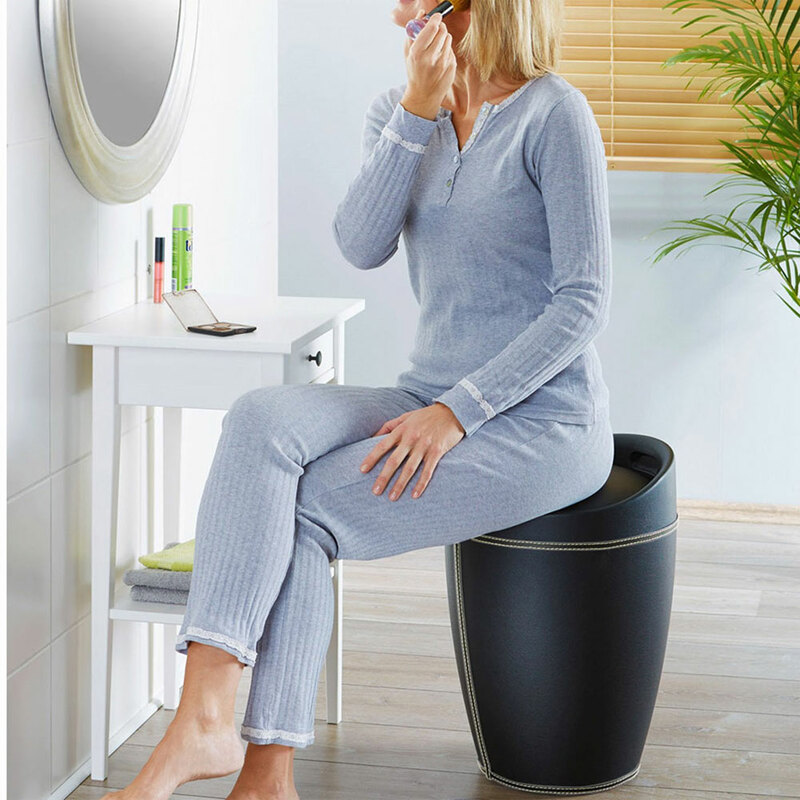 The Wenko Candy Leather Look Laundry Bin & Bathroom Stool is a smart and practical option if you can't stand the sight of dirty laundry! View our full range of intelligent Bluetooth mirrors. Shelving is an excellent way to store your bathroom products. Especially those which are easy on the eye or decorative such as neatly folded towels, candles and fancy air fresheners. There are bathroom shelves which simply get the job done and there are designer bathroom shelves which cost a little more but add a touch of elegance to the room. Either way, play around with layout; some people find one long shelf looks great on the bathroom wall while others prefer to have 2 or 3 smaller shelves arranged in a variety of ways which store various items. As we mentioned earlier, ladder shelving has seen a huge rise in popularity over recent years. It offers an excellent amount of shelving space to display your charming essentials in a stylish manner. 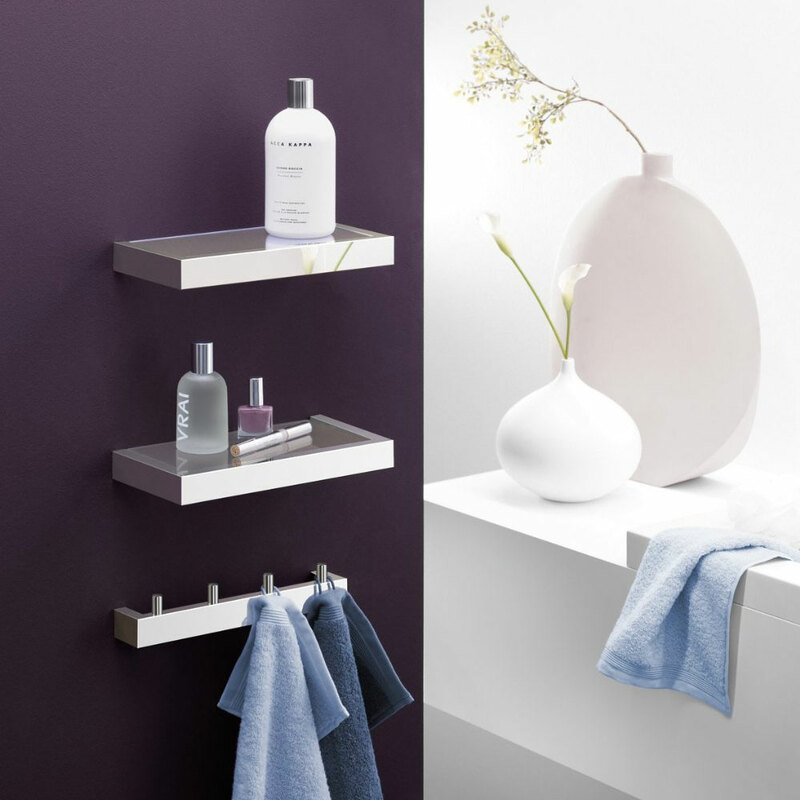 The small Zack Linea Bathroom Shelf can be doubled-up to create a designer look! The Nostra Ladder Shelf Unit allows you store plenty of bathroom essentials whilst adding tons of character to the room! Take a look at our bathroom tiles to make sure your bathroom shelves look their best. Unsightly bathroom essentials can be hidden from view in coordinated furniture bundles. This is a stylish idea which looks amazing; providing a designer bathroom look whilst creating a huge amount of useful space to place your stuff. 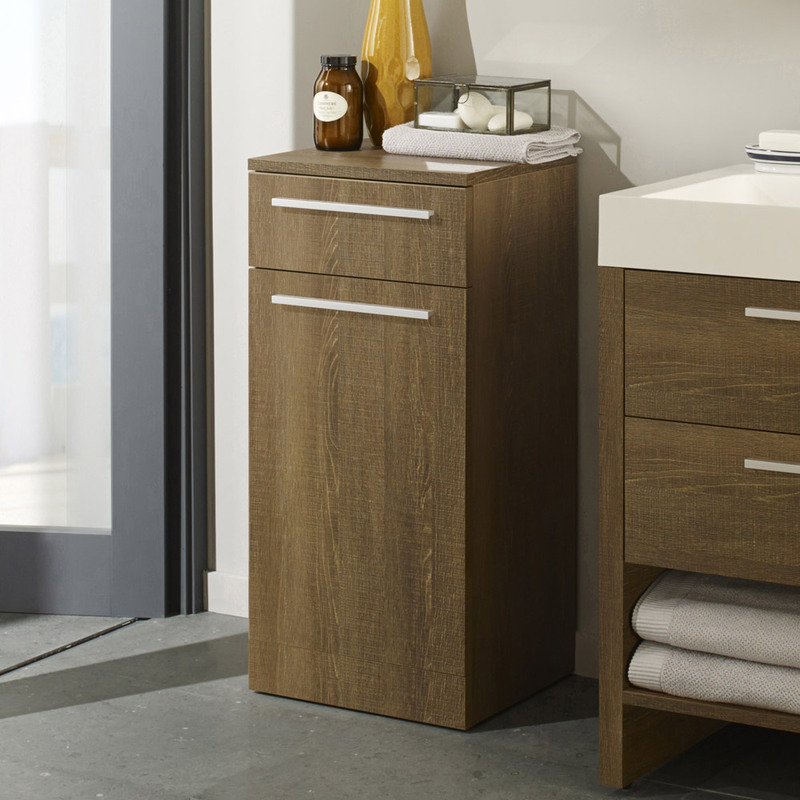 Bathroom furniture sets may cost a lot more than some other storage options for your bathroom, but coordinating bathroom furniture really transforms the whole room and is perfect for those looking for larger volumes of storage. The Cove Bathroom Furniture Pack offers plenty of bathroom storage space! For more ideas on coordinating bathroom furniture take a look at our furniture packs. 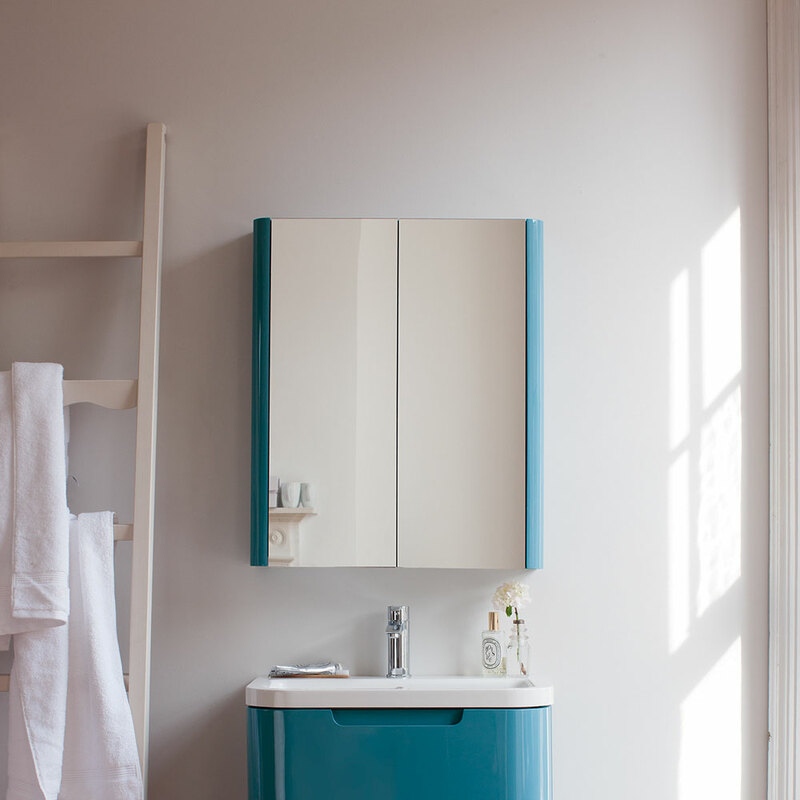 Getting the right colour and finish for your bathroom storage is essential when adding style to your bathroom. Make sure the colour of your storage complements the current colour scheme and choose a finish which blends well. Pastel colours tend to work beautifully in traditional bathrooms whereas bright colours and a gloss finish is a golden opportunity to create a bold statement in their contemporary counterparts. For more inspiration check out 7 most popular bathroom colours for 2017. 8. 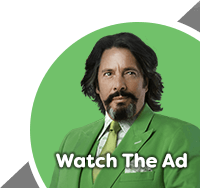 Can you hack it? Of course you can, and we're going to help you. There is an abundance of bathroom storage hacks around and your personal taste and creativity is limitless. One of our favourite bathroom storage hacks is creating space from nothing. A recess in a wall next to your bath or shower adds a shelf space for storing bottles of shampoo and other essentials and involves surprisingly little work with minimal fuss. You’ll need a few materials for a project like this including wall tiles, grout and backer board as well as a few typical tools for a DIY job. Take a look at this great how to guide for inspiration. It’s also quite a simple job for a professional who could have something done like this in a day or two. For more brilliant storage hacks take a look at these 25 hacks for bathrooms. As family homes fight for extra bedrooms, it’s eating further into the size of family bathrooms making them smaller than ever before. Finding bathroom storage ideas which complement small bathrooms has never been the easiest task, but we’ve recently seen a bloom in ideas and inspirational designs to fit in the most petit places. 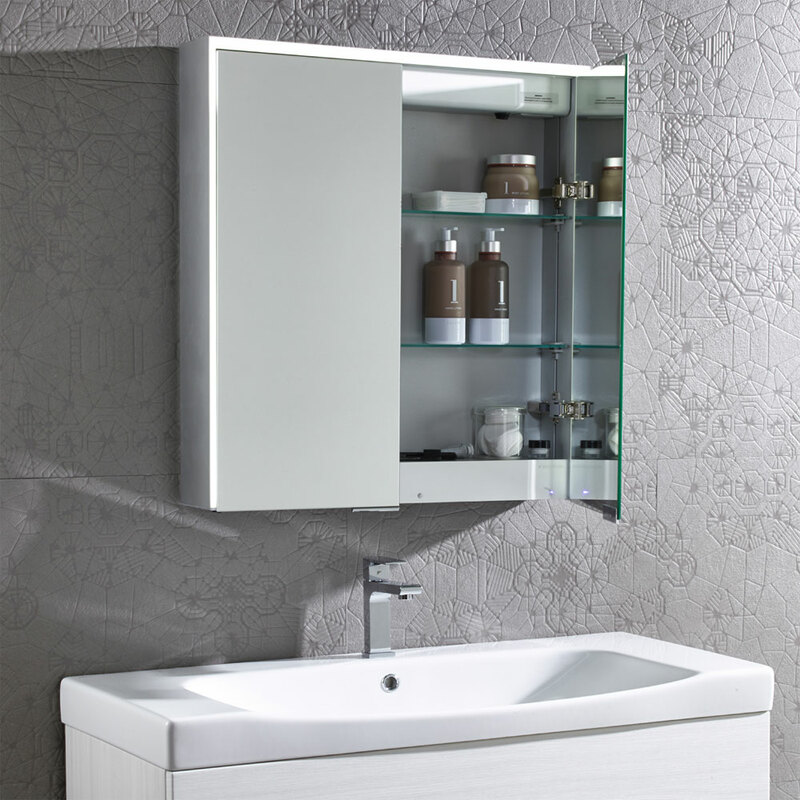 If you’re planning on adding storage to your bathroom with a vanity unit, but space is tight then a slimline vanity unit is a fantastic idea. They help reduce that cramped feeling that sometimes occupies small bathrooms whilst keeping the place neat and tidy which further improves the perceived room size. 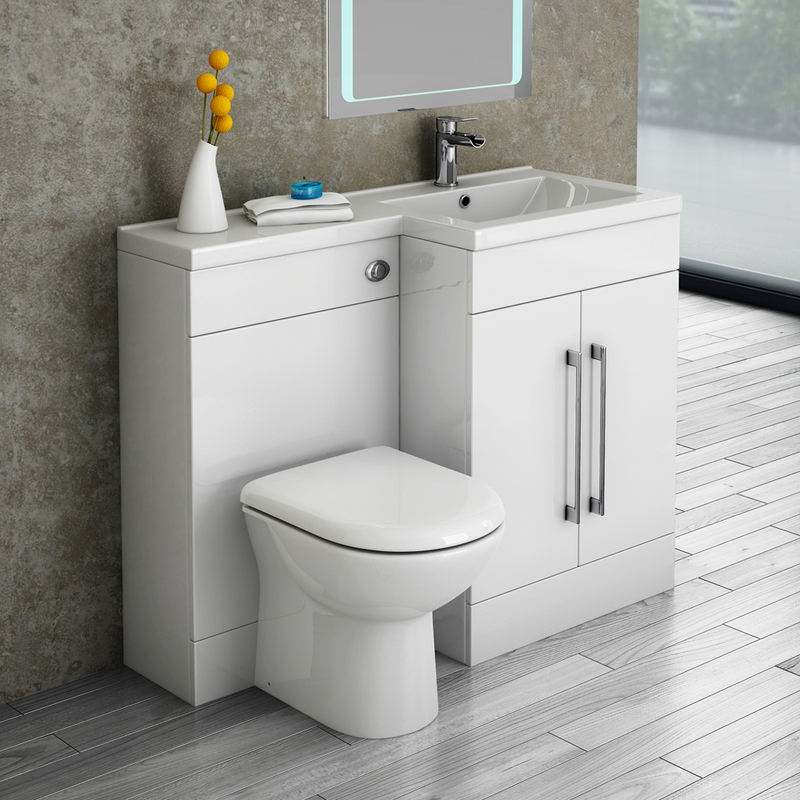 The Valencia Mini Gloss White Vanity Unit makes use of limited space yet remains sleek and slim! Other clever storage ideas for small bathrooms include storing items on top of existing fixtures such as your toilet. The wall space above your loo doesn’t have to be wasted and can be utilised with clever shelving ideas. Don’t forget that the space directly underneath your basin can be used to your advantage too! An under sink bathroom cabinet is perfect for stashing your spare toothpaste boxes and shower gels, while installing an under sink towel rail will allow you to neatly drape a clean towel close to hand. The Wenko Ellera Telescopic Rack in Chrome makes great use of empty space which you may have overlooked as usable! Having problems utilising corners are also a thing of the past as more and more corner bathroom products become available. Corner vanity units turn wasted corner space into stylish and highly functional areas of the room making them a serious idea that cannot be overlooked. The Alaska Corner Cabinet Vanity Unit in High Gloss White gives awkward corners a practical function! Personal hygiene and cosmetics products can create clutter and clutter will make a bathroom look untidy. This messy area can then allow dust and grime to gather unnoticed which spoils the look of your bathroom. Keeping soap and toothbrushes out of the way is a really quick, and cost-effective way of storing small essentials whilst adding style to your bathroom. Simple additions such as tumblers for holding toothbrushes, soap dishes for soap bars and even toilet roll holders are excellent solutions for keeping your bathroom essentials organised. Also, remember to throw away all those shampoo bottles and soap dispensers when they’re empty (it’s amazing how easy it is to just forget about them) - bathroom bins can look funky and they will take care of things while also adding a subtle slice of style into the mix at the same time. Finally, adding in the little details will make a surprisingly big difference to the practicality of your bathroom. A stylish laundry basket is a clever bathroom storage idea for taking care of your dirty linens, while a shower caddy or bath rack will offer you somewhere to keep your daily essentials at easy reach. Take a little time to consider these finishing touches and you’ll definitely notice the benefits when using the bathroom on a day-to-day basis. 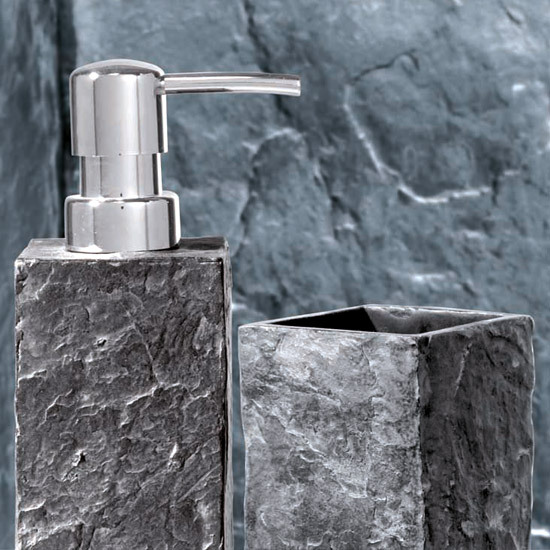 The Wenko Slate Rock Bath Accessories Set helps keeps things looking tidy and stylish! Why not browse our huge range of bathroom accessories to find some new ideas. Storage ideas come in a weird and wonderful variety for the bathroom and one great way of utilising space is to stack items. 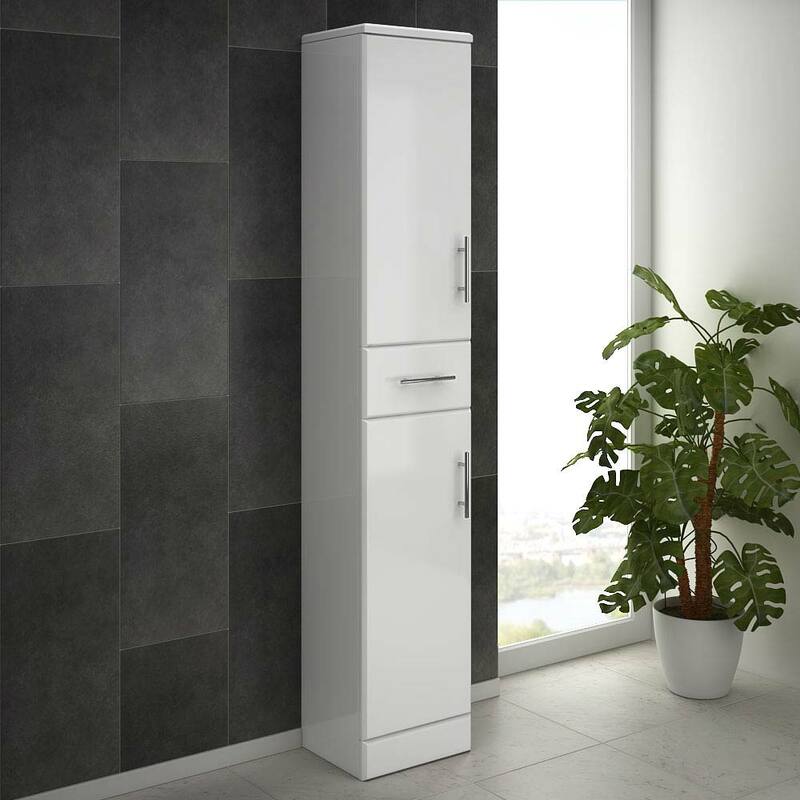 Stylish and practical, tall boy units allow you to store lots of bathroom essentials over a small area of space using their high-rise feature. 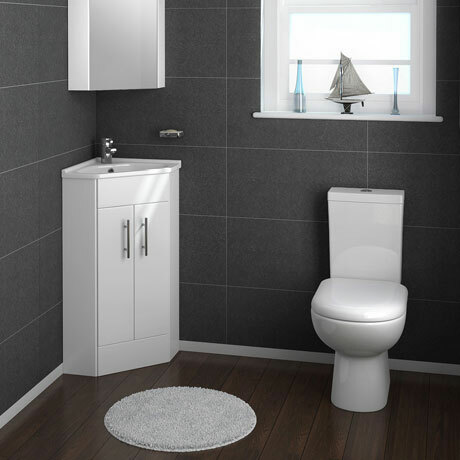 Tall boy bathroom storage can be found in both floorstanding options and wall hung units. Depending on your style you have lots of designs to choose from and many tall boy storage units have matching products to create a designer feel. 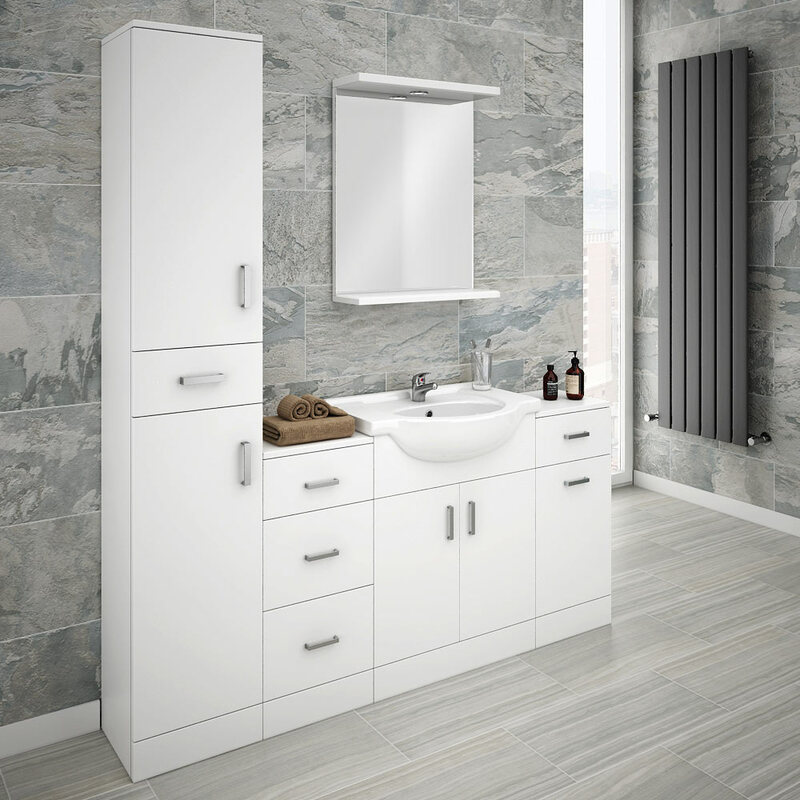 The Alaska 350mm Tallboy Unit in High Gloss White covers little space yet keeps a large volume of bathroom essentials out of view and organised! When it comes to adding to or replacing your bathroom storage, the best thing to do is always keep in mind exactly what it is that you need it for, as you ultimately want something that serves its purpose by adding practicality rather than just looking pretty. It’s all about utilising your available space; does your en-suite really need that tall boy unit? Will that ladder shelf create an obstruction? Think about functionality first and style second here and we promise you, you won’t go wrong. Of course, there are no hard and fast rules, so don’t be afraid to mix and match designs for a unique look. Feel free to cherry pick your favourite tips from our suggestions and create a bathroom that’s tailored to your needs - like to sing in the shower? Go for a Bluetooth enabled cabinet; love rustic designs? Time to take a closer look at upcycling ideas. The beauty of it is that it ultimately all comes down to you - your bathroom, your rules. Happy storage hunting!